東　AZUMA DESIGN BUILD creates timber structures and furniture for individuals and institutions. The common link between projects is joinery in solid wood. Rarely are metal fasteners or glue employed. 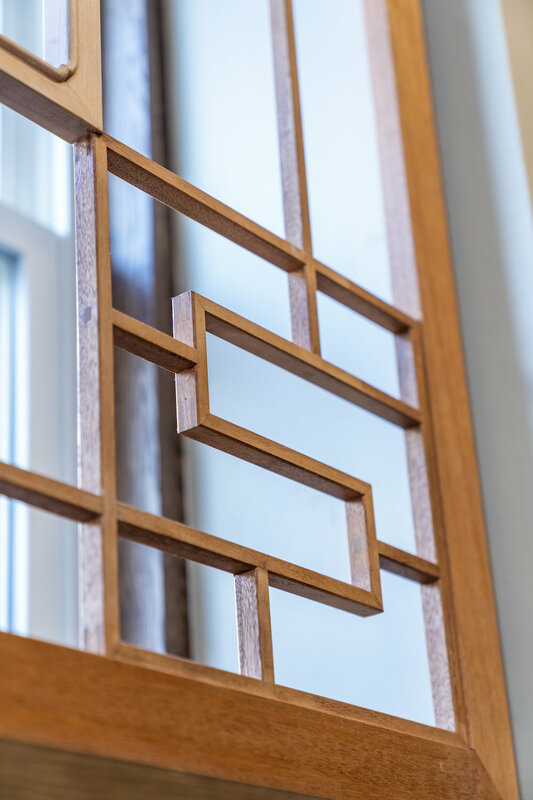 Chris collaborates with clients to create elegant spaces and pieces, constructed with great attention to detail, built to last for centuries, and in honor of the gifts provided by nature. In state and out of state consultations available. We ship worldwide. Colgate East Asian Language Lounge. The space to be developed in the ‘Japanese Room’ as it was before. At the far end of the hall is another room, which will be remodeled along a Chinese theme. 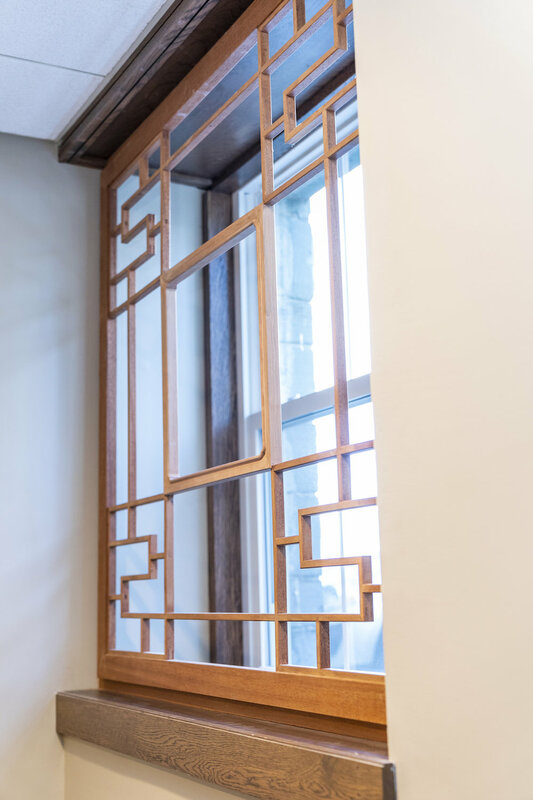 Design was a collaborative process with the East Asian Language Department at Colgate. After they shared the design brief, we designed the spaces and executed the fabrication of the involved components. Colgate took care of plastering, painting, tile work, and color schemes to harmonize with the woodwork and furnishings to be installed. The woodwork was installed over a couple of weekends in September of 2018. A splayed-post table and three benches, form the foreground to the new tokonoma. In the chigai-dana, and floor below are placed some of the Department’s prized objects for use in the Tea Ceremony. The light-colored wood is avodire, while the shelves and toko-bashira are American Black Cherry. the shōji in the round window are constructed from Japanese Cypress. Wainscot lines a portion of the walls in the Japanese Room. 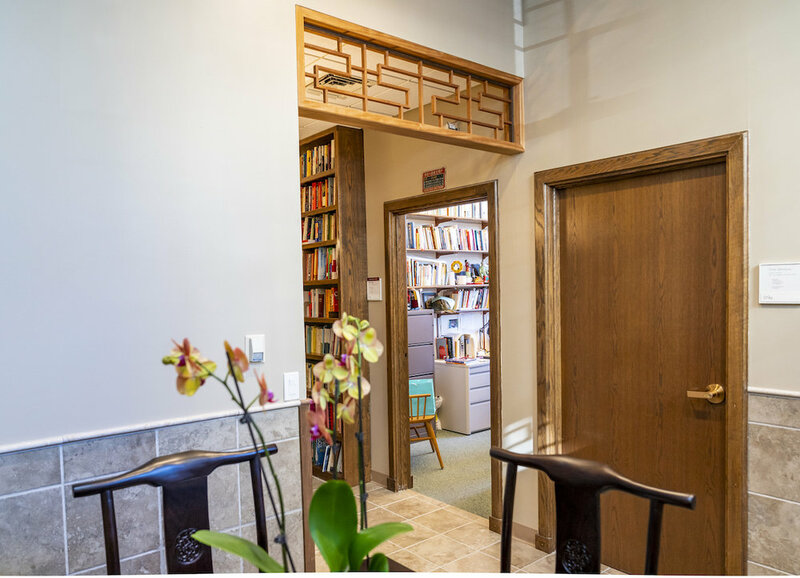 As you can see, a transom defines a new space with a Japanese feel, and serves as a transition point to the hallway which connects to the Chinese Room. Looking out from the Chinese Room. The furnishings were selected by the Department, as was the tiling, paint, and carpet. Mahogany outer frame and lattice, with American Black Cherry inner window frame. Yellow Cedar framing with Western Red Cedar panels. A new kabukimon-style entrance gate for the Tenshin-en Japanese garden at the Boston Museum of Fine Arts. The gate on the day of the re-opening of the garden, April 24, 2015. Large coffee table (and side table, not pictured) in bubinga, a beautiful hardwood. Coffee table in bubinga with ebony joinery detail on the corner. New York City-based artist Jeff Koons commissioned Azuma Design Build to fabricate a series of four Chinese traditional wheelbarrows in teak for an installation called Hulk (Wheelbarrow), which will be exhibited in various locations worldwide. 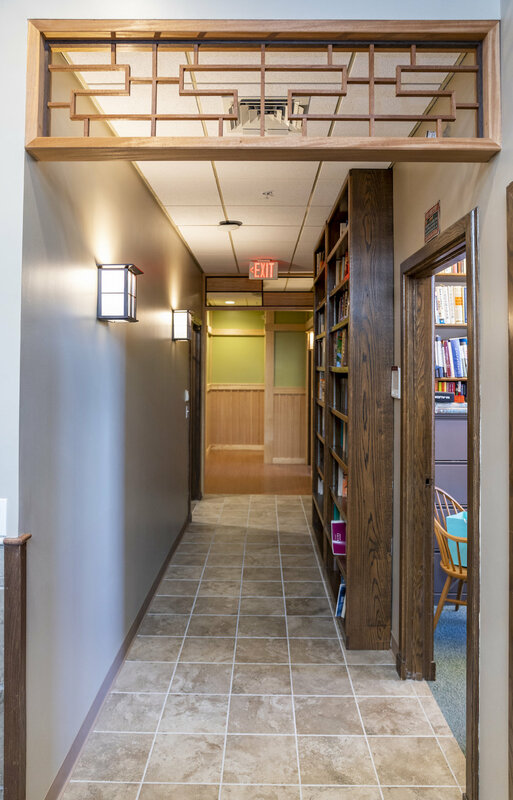 See the gallery for photos of past projects by Azuma Design Build.